Kelvin has over 35 years experience of playing solo, and with bands. He started his music career in 1971 playing in various groups, where he met Marie Dooley, a former member of the Dooleys, who he formed a band with in the mid 70’s, which in turn led him to an appearance on TV’s talent show New Faces. He then went on to meet Rick Huxley, former bass player of The Dave Clark Five, and started playing with his band Cascade. In the late 70’s Kelvin decided to turn professional, and joined a touring band working for the Mecca organisation. This led him to travel the length and breadth of Great Britain and abroad, playing for a month in the legendary Daddy’s Dance Hall in Copenhagen. On returning to England the band found themselves booked in to Tiffany’s in Newcastle upon Tyne, where they were offered a full time residency. After fulfilling a contract abroad, he returned there in 1979, where he still resides. 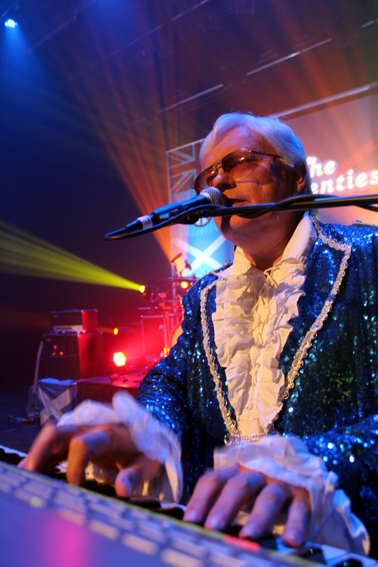 Kelvin has supported many sixties bands including The Searchers, The Swinging Blue Jeans, and Marty Wilde.